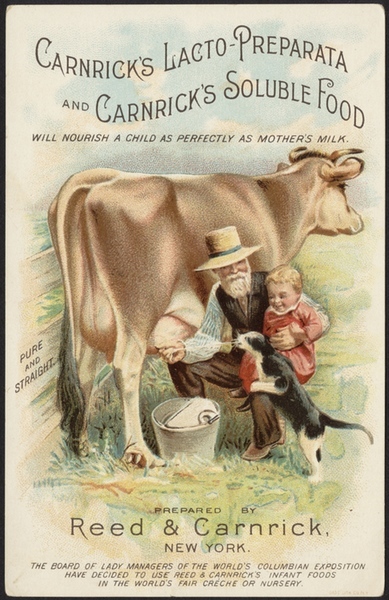 When I think of vintage advertising images, so often the images I see are for food items. Stuff to cook with, stuff to feed our children and all sorts of wonderful things we can enjoy. 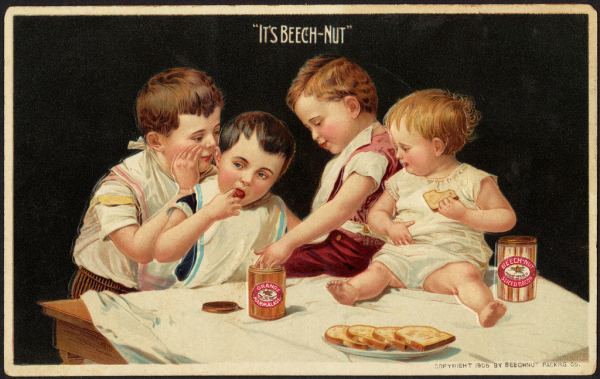 The group of vintage food images I have to share with you range from advertising images to beautiful botanical prints. There’s a variety of edibles to be found. If you are looking for a food image and none of these fit the bill, not to worry, be sure to check out my other site Reusable Art, explore the collection of food images and you might find exactly what you are looking for. 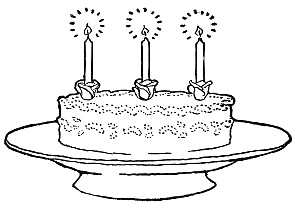 Vintage birthday cake drawing with three lit candles in rose-shaped holders sitting upon a cake stand. 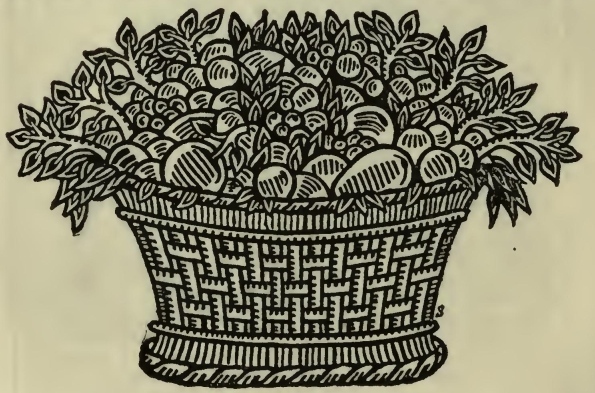 Vintage fruit basket drawing. An engraving with crisp details and ready to add your own color. Nice woven basket full of fruit with leaves. 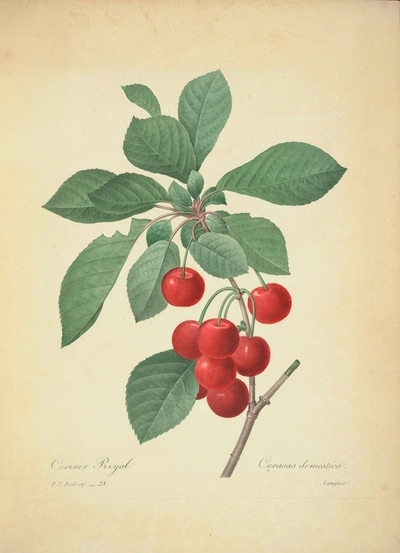 Beautiful vintage cherries book plate with bold and vibrant red cherries and lovely green leaves. 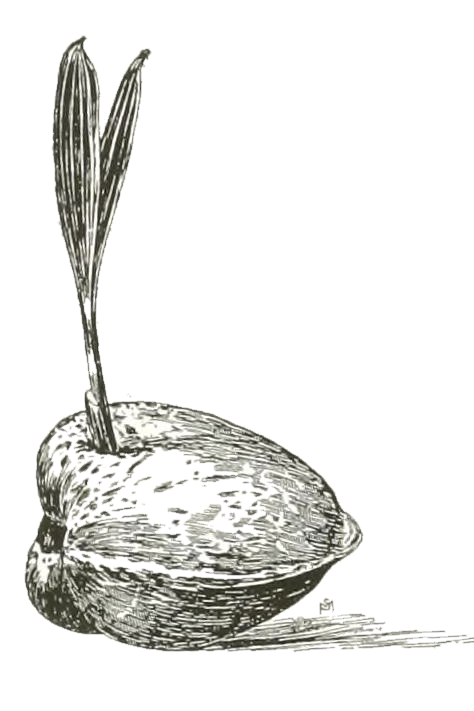 Drawn by the artist Pierre Joseph Redouté. 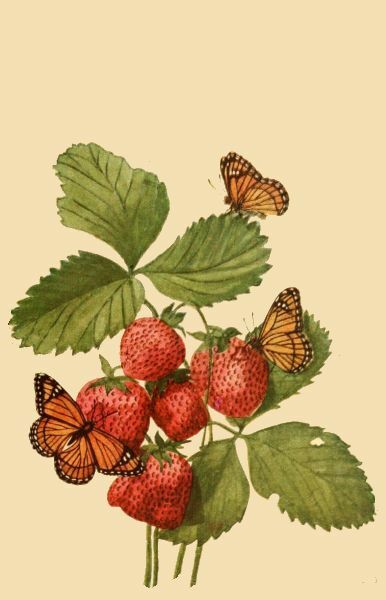 A bit of cover art on this cold winter day with memories of warm, sunny spring and summer days and the glories of fresh strawberries and lovely butterflies.